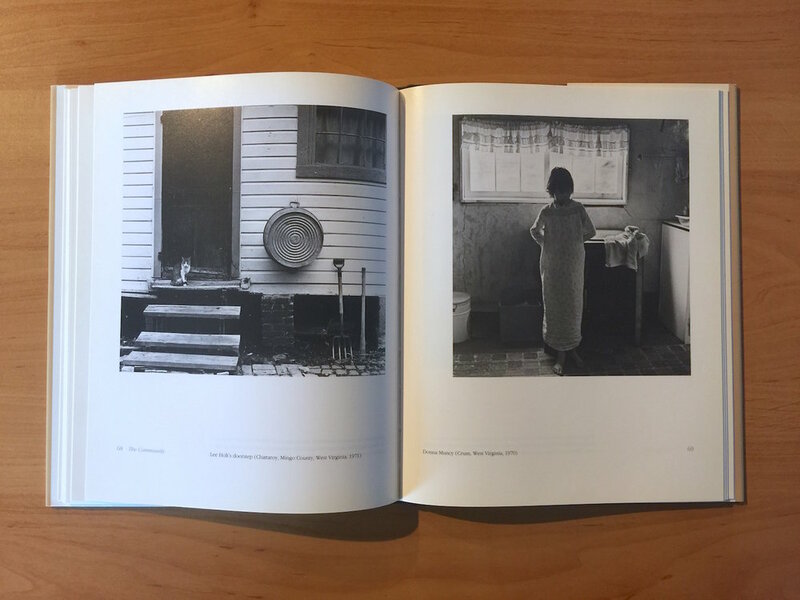 Images of Appalachian Coalfields was probably the very first photobook specific to Appalachia I ever bought. In late 2009, I saw Levy's picture of Chattaroy, West Virginia native Nimrod Workman in Coal Country: Rising Up Against Mountaintop Removal Mining, the companion book to the documentary film, and wanted to know more about the photographer who'd photographed in my home town. Chattaroy isn't exactly that widely known (or photographed). An online search about Levy led me to his book, which I ordered right away. When the book arrived, I sat down and pored over the pages and examined each photograph looking for more pictures from Chattaroy. Then, I noticed several pictures were made at Eastern Coal Company in Stone, Kentucky across the Tug River in Pike County. My pawpaw, Cecil May, was a mine foreman and worked underground for Eastern for over 40 years. I just knew I was going to see him in one of Levy's photographs. Well I didn't see my pawpaw, but I decided to email Levy to thank him for making the work and tell him the story about my connection to Chattaroy and Eastern Coal Company. That email struck up a conversation, which developed into a friendship. Later this month, I'll get to meet Builder Levy for the first time at the 2016 Appalachian Studies Association conference in Shepherdstown, West Virginia, where I'll be part of a panel with Levy and Dr. Sylvia Shurbutt of Shepherd University. 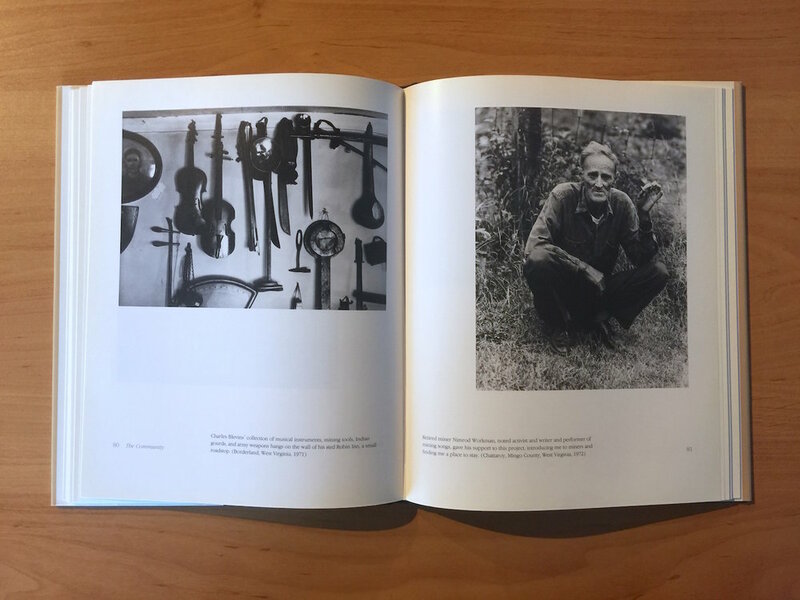 Images of Appalachian Coalfields begins with a powerful combination; a foreword by Cornell Capa, the brother of Robert Capa (yes, that Robert Capa) and an introduction by Dr. Helen Matthews Lewis. The introduction, twenty-two pages long, should be required reading for anyone making work in Appalachia. 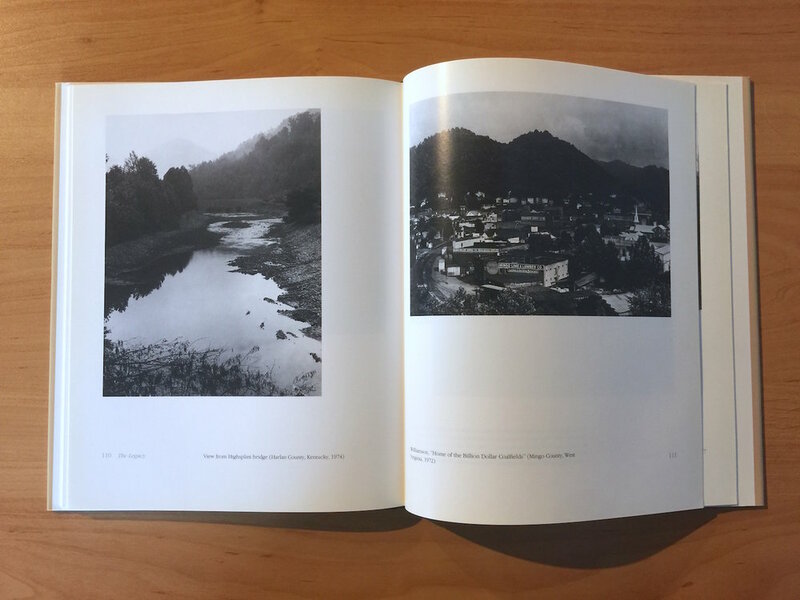 It's broken out by themes of work, community, and legacy, which sets the structure of how the photographs are presented (in identical sections). Lewis sets up the work with the care and scholarship anyone familiar with her work would expect, ending with, "The current plight of mining communities is strong evidence that the enrichment of the coal producers has resulted in the impoverishment of the region and its people." The photographs from Levy's first book were made between 1968 and 1982. He started making pictures in Appalachia when he took a 10-day trip to Boone, North Carolina. On his return to New York, he made a detour through Mingo County and stayed with a VISTA worker who introduced him to some local folks. 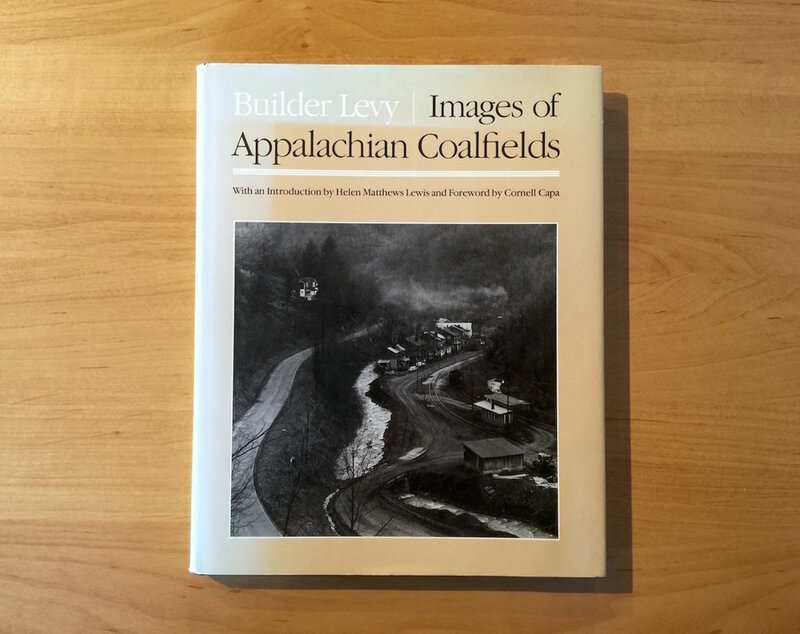 Working slowly over time and returning to the coalfields often, Levy began to build the body of work that would eventually become Images of Appalachian Coalfields. One of the important things I gleaned from my early conversations with Levy was how important it was to him to give back prints. It's something I started incorporating into my practice because of him. I've given away at least three copies of this book (as well as Rob Amberg's Sodom Laurel Album, which I'll write about later) as examples of the kind of work I want to see more of, that I feel we all need to see more of. This isn't a book any MTV producer referenced as an idea for a new show. Instead, it's a deliberately slow an quiet approach to telling a story with grace and intention. From the dust jacket: "Levy describes the sometimes mixed reaction he received from miners, foremen, and company guards at various mining sites. By "reading" the images, one senses that he did no simply gain access to witness but fully participated in the daily "mantrips," the comfortable hospitality, the unity of miners surfacing after a long day underground. Images of Appalachian Coalfields forces the reader to confront the life of a mining community, to recognize the faces of struggle, camaraderie, defiance, endurance, and to admire the intense vision of a photographer whose love of subject pays homage to the human spirit." I've selected some of my favorite spreads from the book and included the caption information. Long out of print, you can pick up a used copy of Images of Appalachian Coalfields relatively inexpensively online from a number of sites. I highly recommend this book.